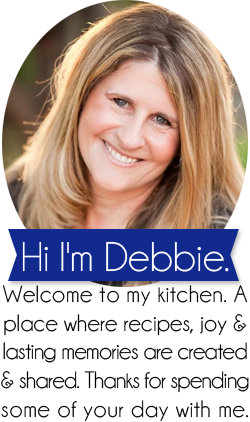 I often get asked where I find my recipes for the The Instant Pot. In fact my friend, Ellen, asked me a few minutes ago. It’s been on my list to post so thanks Ellen for the motivation. 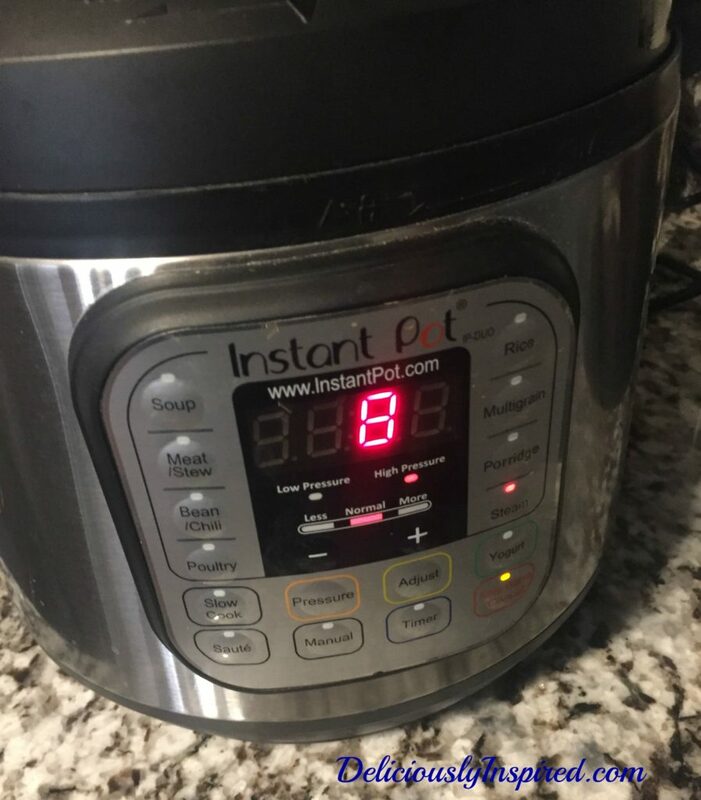 For someone who was timid about using the Instant Pot Pressure Cooker over a year ago and sat 20 feet away while I did the water test, it now has a permanent place on my kitchen counter. I started with the brown rice, quinoa and steel oats recipes from the cookbook that came with the appliance. Soon I wanted a little more and begin branching out into blogs which then led me to some amazing cookbooks. There are times I’ll take two recipes from different sources and tweak it to my palate. Here are two of my favorite instant pot cookbooks. 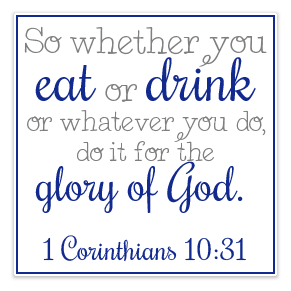 Also be sure to check out their websites – there is a lot of valuable information and recipes. Affiliate logs are used to help offset the cost of Deliciously Inspired. Appliances are only as good as the recipes going into them. 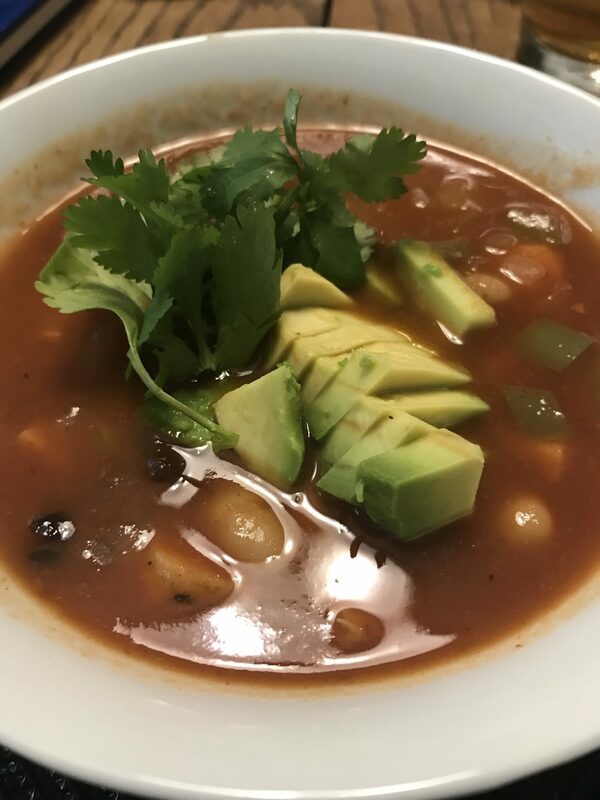 Pictured below is Chicken Tortilla Soup from the Instant Loss Cookbook. This recipe is quick and delicious because everything goes into the pot at once and 13-15 minutes later it is done. I am a big fan of homecoming because unlike going out to eat – the cook is in control of what ingredients and how much of those ingredients go in. It’s been almost 3 years since we downsized our home. The list of home projects is becoming smaller but there are still a few to be tackled. 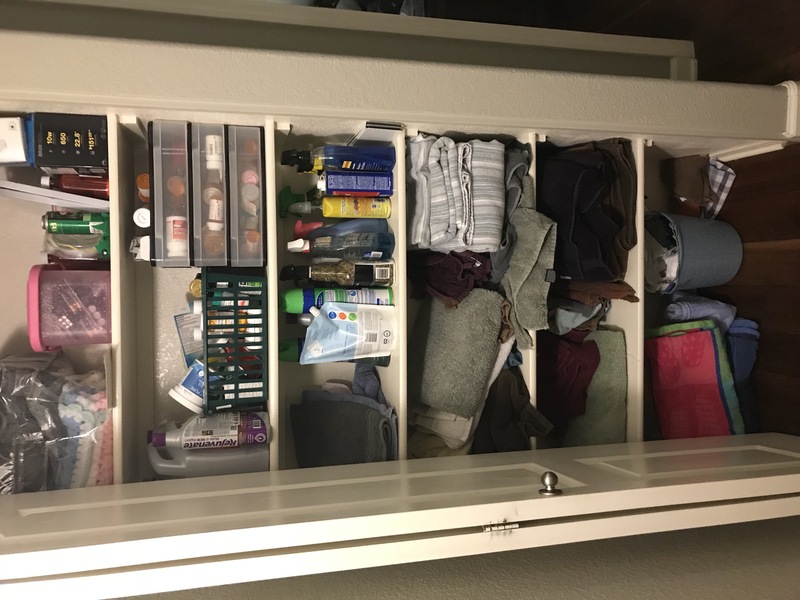 Two on this list are to organize our small hallway linen closet and also our kitchen pantry. 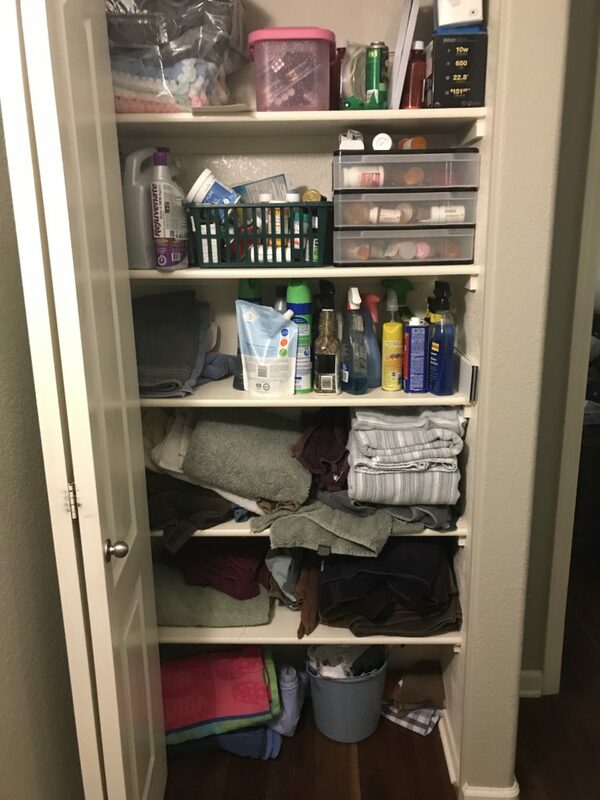 I’m happy to say that over the holidays, I accomplished the linen closet with the help of Dollar Tree. I bought an assortment of different storage containers, watched a couple of YouTube videos and pulled a set of chalkboard tags I’ve had for a couple of years and set to work. Here were some of the steps I utilized. Choose a color scheme to act as my guide: blue, brown, white, gray and black. Sort through towels. I kept 8 bath for the closet because there were already two towels in each of the bathrooms. I kept 5 wash clothes and 5 hand towels. The rest were donated. Use a container for toilet paper so we don’t have to retrieve from garage. Roll up beach towels and placed in a container on the floor. 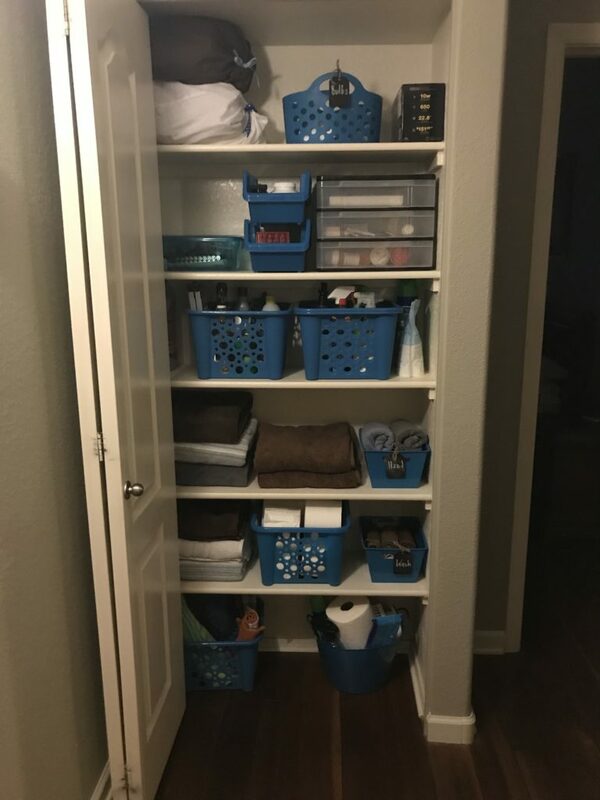 Create two more storage containers of cleaning supplies. Create a storage area for lightbulbs. Create a storage container for batteries. 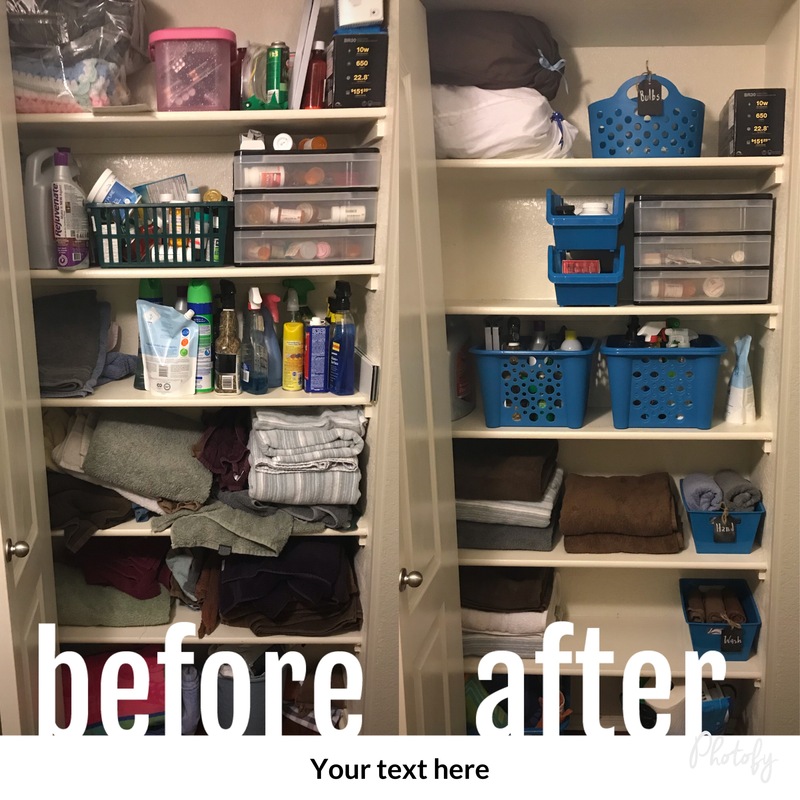 The blankets on the left side of the top shelf were placed in pillow cases and tied off with ribbon which gave a cleaner look. I took a side by side picture as I made progress – what a transformation and encouragement to keep on going. Here is the finished project. I couldn’t be happier with it. This is one of my family’s favorite desserts. It is easy and goes together quickly plus you will no longer throw away ripe bananas. This cake also freezes beautifully. My son-in-law especially likes it when the cake doesn’t bake evenly in the center and there is an extra thick layer of frosting. Because of food sensitivities in our family, our cakes are made with white spelt flour and almond milk but an unbleached white flour and dairy milk will work as well. 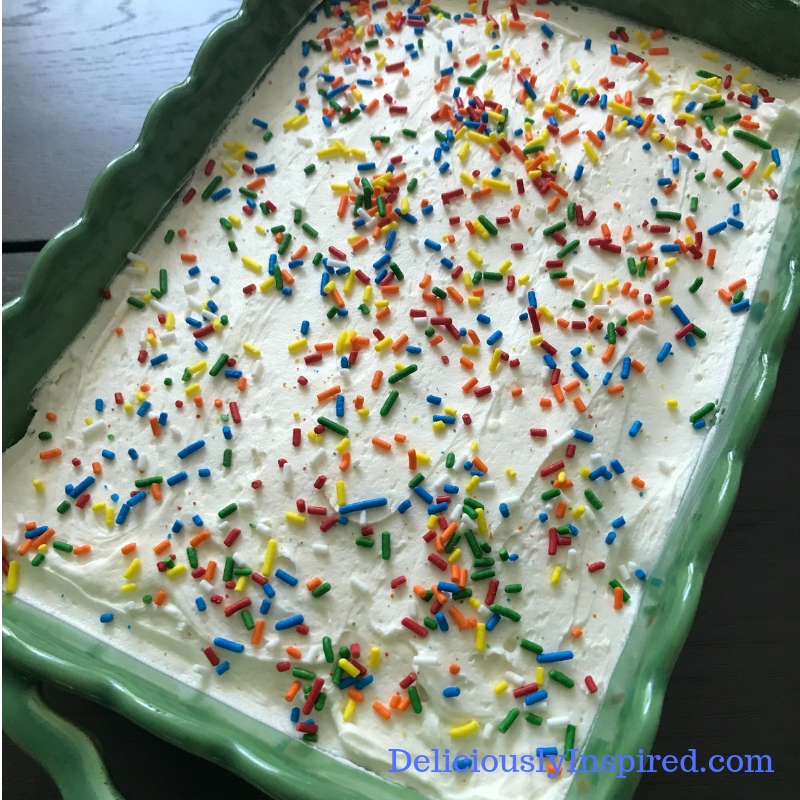 This weekend I made a banana cake decorated with rainbow sprinkles with a two-fold purpose. One was in honor of the 2018 Noah’s Kindness which begins in October. I am blessed to work with Angie and below you will find in her own words what the event she and her husband Jarrett created is all about. This is an easy way for all of us to spread a little kindness into our community and families. You can choose your own act of kindness to perform no matter where you live. It doesn’t need to be anything grand. Maybe you make a banana cake and surprise someone. A reminder of how important each act of kindness is and helps me practice a character in myself that I want to grow. It is a journey to reading what the bible guides us to do in the subject of caring for others and actually letting Jesus walk you through the steps of doing it. I will admit that when Tamara and Josh shared their desire to do this, I had a lot of questions. I really appreciated them giving our family the freedom to ask and answer to the best of their ability. Watching what stability and care can provide on a daily basis is like watching a withering flower being brought back to its beauty with regular watering. It was a miracle playing out in front of our eyes. Every milestone we continue to delight in. I remember one day coming to the truth that I wasn’t being asked to be the mother but the grandmother to another little one and that seemed completely doable and worry seeped away. This has been a growth to my faith and character. My heart is a house with many rooms and there is a room in my heart for our new addition who I love dearly and can’t imagine our family without him. An easy cake that is ready in no time. In a large mixing bowl, cream butter and sugar. Add eggs, one at a time, beating well after each addition. Stir in vanilla. Combine the flour, baking soda and salt; add to creamed mixture, beating just until combined. Fold in banana.Pour into a greased 8-in baking dish. Bake at 350 degrees for 30-35 minutes or until toothpick inserted in the center comes out clean. Cool completely on a cooling rack. In a mixing bowl, cream butter. Beat in the milk, vanilla, salt and enough powdered sugar to achieve a spreading consistency. 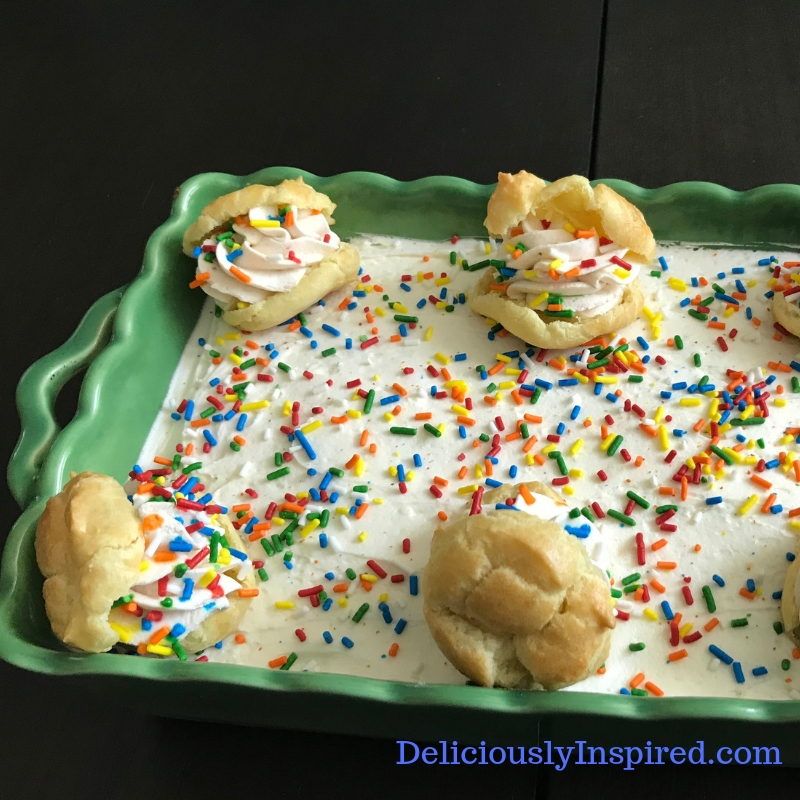 Beating this frosting for 3-4 minutes will produce a silky smooth icing. Spread on top of cake.